The Internet is nothing without a Browser. The browser is a platform which let users explore the Internet. Nowadays we use the Internet on daily basis on many devices such as Computer, Smartphones, Laptops etc. Keeping everything in mind we have filtered out best Browser for PC & Windows. So check out the list of best browsers that you can use on your Windows PC. It is not that much difficult to choose a perfect web browser for use. First, decide what are your requirements. Also, download the Browser according to your System like if you have 32-bit Install 32 bit for a better experience. If you want a Perfect Web Browser then the best option is Google Chrome which is the most used browser. It is available in mostly all the devices including – Android, MacOS, Windows, Linus & other IOS platforms. The browser is based on open source Chromium project. The browser is flexible and quite easy to use, also including a great number of useful extensions. The company mainly focus upon the use of Hypertext Transfer Protocol for secure communication (HTTPS) his browser is best for daily browsing. It basically has every feature that a perfect browser should have. This is the best Browser for PC in my opinion. What do you think? It also sometimes use your browsing history for serving you relevant advertisements. Google Chrome also has the download scanning protection it which saves you from downloading a malware. It also provides you with an Incognito mode and private control. Don’t waste time, download it now! But if you are bored with the Chrome, you are still left with many choices like Internet Explorer, Opera, Microsoft Edge, Safari Browser etc. If you want a Fast Browser for your daily use then latest Mozilla Firefox is best for you! Firefox is one of the best web browsers. It is totally non-profit, it means that your information is totally secure with them, they will not sell your information to any third party sites. It also has a variety of extensions which will make your daily life work easier. Mozilla Firefox also has some safety settings which protects you from downloading malicious files. It also provides a private window, using which you can surf the web without thinking about the search history. The browser doesn’t use your information to serve up ads. It also one of the most used browser. After a long time, The company came with a bigger update which is quite impressive. For your daily work, this browser can be a good choice. This is one of the best browser for PC Windows. If you want Most Secure Web Browser then TOR Browser is made for you! TOR encrypts your IP Address several times protecting you from several third-party sites. TOR Browser basically works on Onion Routing. It is the best browser for totally anonymous browsing. It keeps your IP Address hidden. The browser is a bit slow, so if you want a browser for daily use, then this browser is not for you. It doesn’t even store your browsing history or cache memory so you don’t need to worry about it. But if you are in a profession where you require to share some private or confidential information securely with some trusted people then you must download it. It’s pretty safe but it still depends upon your browsing habits. If you are looking for Well Managed Web Browser then you should definitely go for Apple Safari. Apple Safari is the best Browser for Mac. But it also works very well in Windows. The Browser is fast and reliable to use. It is an attractive browser with well designed Tabs. Like Google Chrome, Mozilla, Opera it also provides extension feature. The browser is also secure which can be guessed through its brand tag. The statistics on the website also shows that it is the fastest browser. And in some cases it is true. So if you like Apple product and want a secure browsing then you can choose Apple Safari as your main browser. 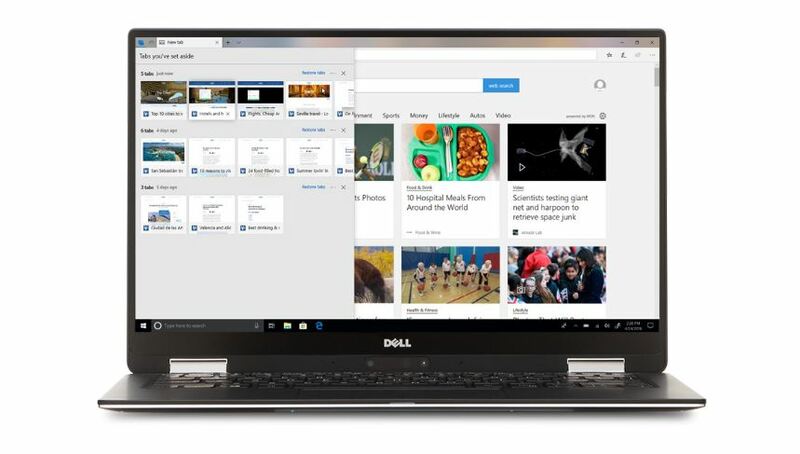 The new default browser for Windows 10 and above operating system. Microsoft has now pushing users to shift from Internet Explorer to the Microsoft Edge for better browsing experience. There is no way of denying that Edge is better than Internet Explorer, but it is not the best out there. Microsoft Edge also fails to attract users. The browser comes with some major changes like Reading experience is enhanced due to change in UI. It also now lets users capture a web page using the tool. It comes as a default browser, it supports every inbuilt feature of Windows 10 like Cortana. But for now, you will not get a variety of extensions it, same goes with the latest Internet Explorer 11. Edge does not contain any insecure protocol like ActiveX. Edge Browser also provides you easier sharing options which help you to share pages with your friends in just a click. How we can complete the list without mentioning the Default Browser for Windows (8 or lower version). There was a time when Internet Explorer was the best. But now the place has been covered by other browsers. However, the Internet Explorer provides some unique features than other browsers. Internet Explorer gives you a modern standards output, manageability, backward compatibility & mainly performance & security. It has a SmartScreen & Enhanced Protected Mode for security reasons. But the bad point is that it has very lesser no of add-ons, it’s not for the users who want a browser full of helpful extensions. If you like the traditional Internet Explorer, then download the latest Internet Explorer. Opera Browser is one of the best Browser for PC. If you want to download anything like big files than Opera Browser is the best. The Downloading and Streaming experience is great on this browser. Don’t confuse with Opera Mini, Opera is a browser for Windows and Opera Mini is the Browser for Smartphones. 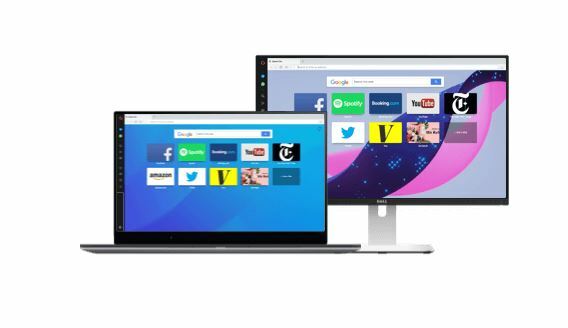 Opera Browser is free like other main browsers. It also helps saving internet data in case if very less data is left. We can manually turn on and off the Data Saver. And it also blocks Ads without using any Ad -on. 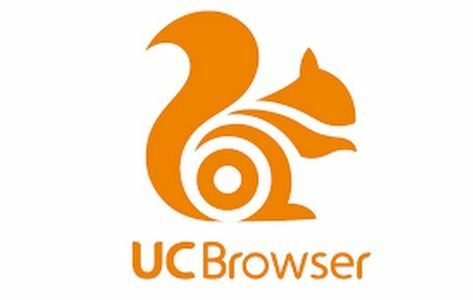 UC Browser is a very fast browser which is mainly available for Smartphones but it is also available for Windows. No wonder that it is one of the fastest Browser for Windows but the browser lacks security. So I will not suggest for daily use. There are few things that I like about this browser is that to download Streaming videos like video from youtube we don’t need any Ad on or Download Managers. If you have any other browser that will fit in the list of best browser for PC then let us know. Before downloading any of the browsers, just check that it contains your required privacy settings, is it fast to use, it has filter options etc. If you just want a classic browser for daily use then I would personally recommend you Google Chrome. You can also install an extra browser for secondary use. If you are still not able to find a perfect web browser for you, then you should go with your default browser only as it would be totally compatible to your device. If you are a Mac user then Safari is a perfect choice, it’s fast and much secure. This was the list of best Browser for PC and I hope you have found that you were looking for.